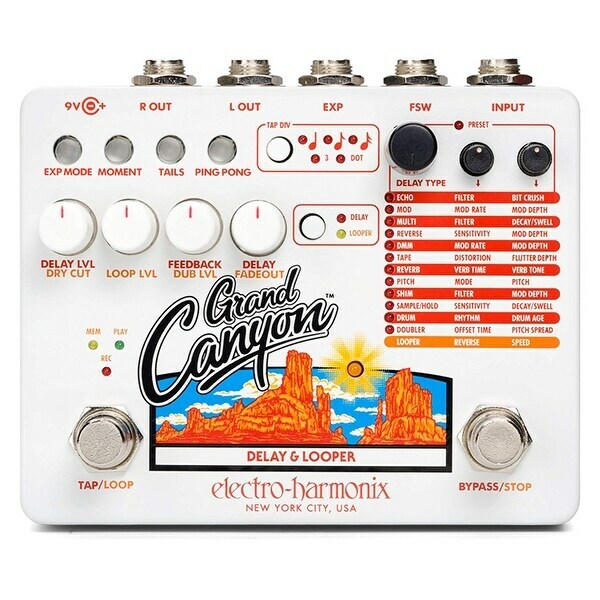 The Grand Canyon is EHXs most advanced multifunction delay and looper pedal. Its equipped with 12 effect types plus a fully featured looper capable of recording and overdubbing the Grand Canyons effects. The pedal provides superior sound quality, up to three seconds of delay time, tap tempo and nine tap divide settings, stereo output, 13 presets, programmable EXP pedal settings, high quality analog bypass with soft switching and more.